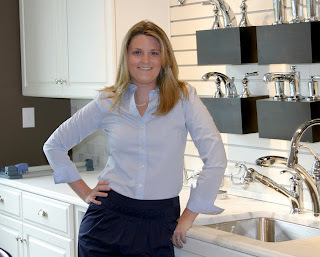 Cassie began working in the building industry shortly after completing her Marketing degree from Penn State University six years ago. She has also completed an Interior Design Certification from Temple University and is in the process of obtaining her Real Estate license. Cassie joined the Pohlig Team in February of 2008 and was brought on specifically for the Athertyn project. When she is not working on Selections, she can be found behind the bar, serving up beer and wine at Athertyn‘s monthly “Meet Your Neighbor” gatherings. In her free time, she loves to join her husband in the kitchen, cooking meals for family and friends. She also enjoys taking her 3 year old Puggle, “Lady”, on neighborhood walks and trips to the dog park.